One of the best things about claims is how no matter how much you think you know you can always learn more. Whether it’s a new legal precedent, or trying to understand some new technology to improve your operation, learning and growing is a critical component to a successful claims operation. I am a big believer that war stories told by those in our industry are a wonderful way to learn different techniques and ideas for handling claims. 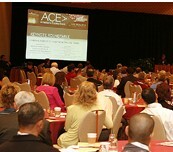 At the ACE conference you will hear some of the best information from the best in the industry. In these tighter economic times ensuring your claims professionals are the best they can be is a sure way to produce better results. The Annual ACE is the only event where you will have access to industry experts providing strategic case studies and tactical solutions for the many functional areas within the claims handling process. From claims filing through settlement, ACE will provide the critical intelligence needed to expedite your claims handling process thereby leading your desired results: cost reduction and increased client and agent satisfaction. So jump on the education band wagon and make your way down to New Orleans this year. Tagged with Americas Claims Event, Best Practices, Continuing Education, Education, Learning. Refreshing article, the voluntary continuing education of claims personnel is a welcome sight…especially from an agent’s perspective.